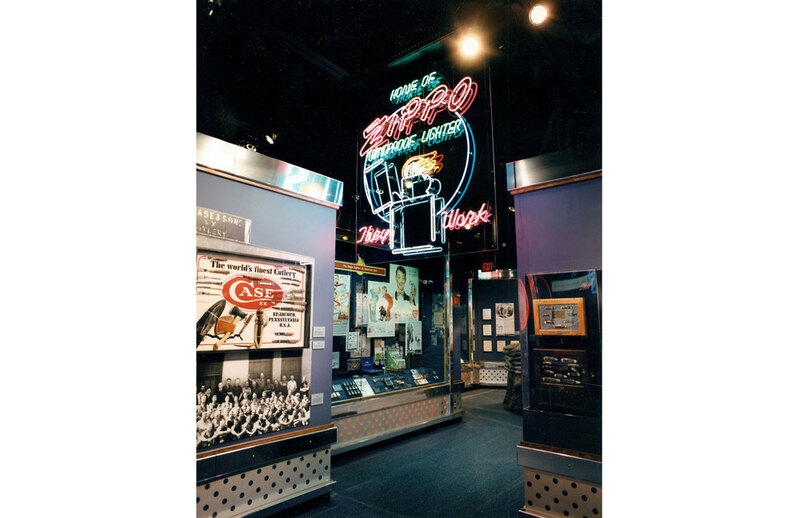 The Zippo/Case Museum was created to both instill local pride and to attract both visitors and passionate collectors. Visitors to the 15,000 square foot facility find rare and unique Zippo lighters and Case knives and are offered a glimpse into an exciting environment showcasing Zippo’s history, achievements, and continued success. 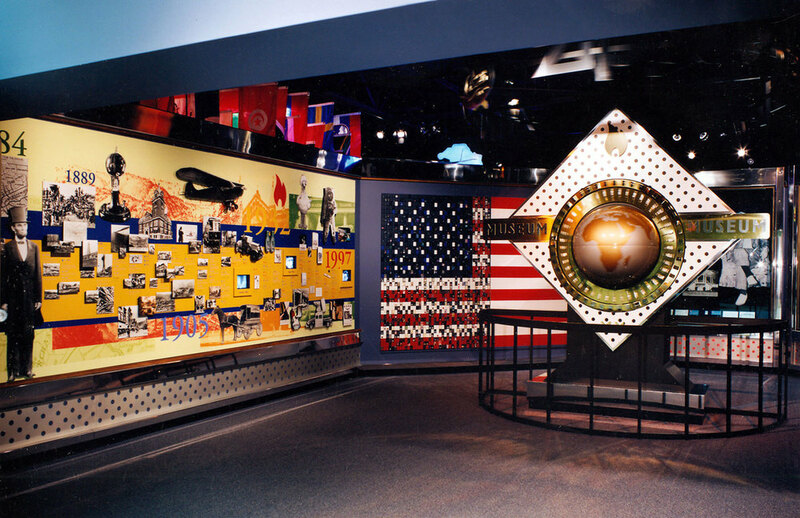 The highly interactive exhibits include visitor-operated, rotating “ﬂintwheel” display cases, giant holographic lighters and knives with “exploding” cutaway views of their components, interactive video tours of production facilities, and an orientation theater, multimedia timeline, and 10-foot-high kinetic sculpture. 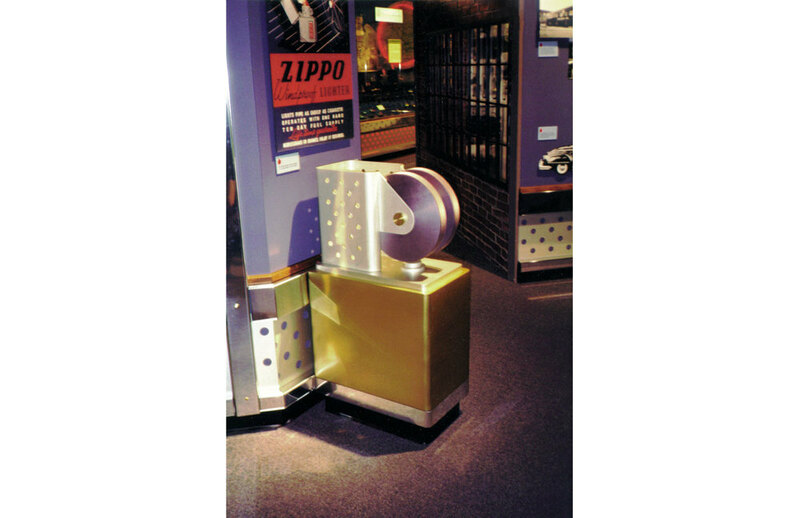 Additionally, artifacts are displayed in polished and perforated aluminum and brass display cases that echo the quality finishes found in Zippo products.